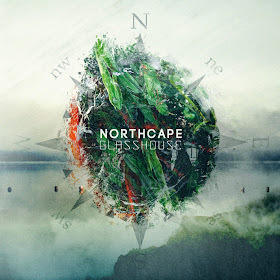 "Glasshouse" by Northcape is a remarkable EP, one where Alastair Brown comes into his own as an electronic musician of note. Whilst his previous output may have brought comparison to the earlier work of Boards of Canada, "Glasshouse" stands alone as a uniquely Northcape body-of-work. It is a robust offering for anyone with a love of warm, unhurried, melodic and memorable electronica. I really love the opening track - "Capillary Action" - with it's glacial synths, nuanced beats and deep bass; it sets the scene nicely for what is to come. I am also particularly fond of the spacey vibe of the last track - "Green Wave" - with it's sweeping chords and grandeur, it is almost Berlin School in expression which makes me smile uncontrollably. The remainder of the EP ... the bits in the middle ... all stand equally tall with melodic synths and thoughtful, skittering percussion. These are tracks to get lost in and are fitting soundtrack to a lazy summer afternoon. Already a highlight of 2014.